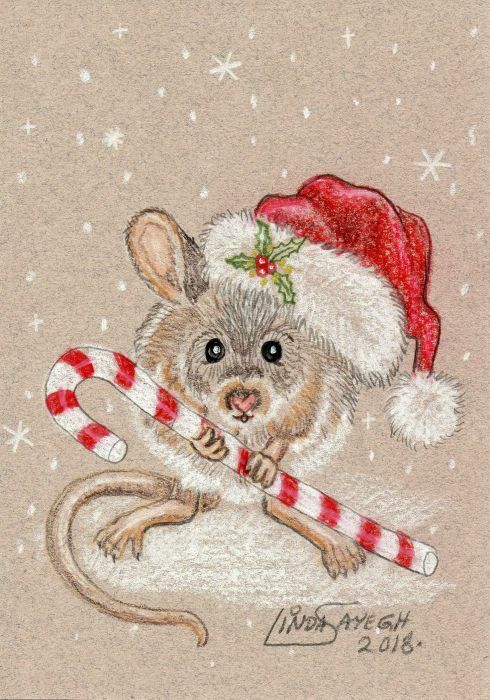 Cute little mouse with a Candy cane all ready to celebrate Christmas. Colored pencils and a bit of Sharpie paint pen on toned Canson Mi-Tientes acid free paper. 5 x 7 inches. Evelyn Henderson says: ADORABLE! ~ Reply? Kir Talmage says: Awww. ~ Reply? Erich Heidewald says: It's so cute!!!! ~ Reply? Linda Sayegh replied to this: Thank you very much! :) Thanks for the prompt.